Since my exams have finished I haven't really had a chance to just chill out and spend some time sitting in bed reading and Pinteresting but this weekend I managed to squeeze in a bit of me time. Next year I will be moving into a different student house with a bedroom which is a bit bigger than my one at the moment. And so I turned to pinterest for some inspiration for how to decorate and I've decided I'd quite like to go with a Moroccan themed bedroom. 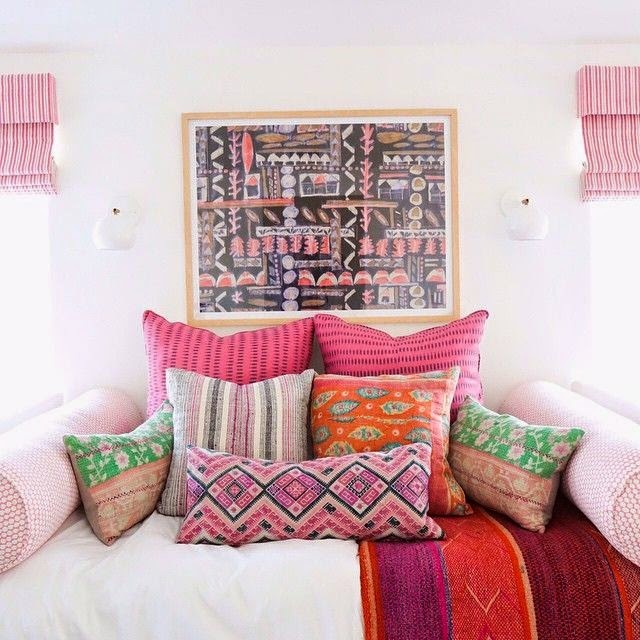 These pictures are just a few I found on pinterest, I absolutely love the bright colours and contrasting patterns in Moroccan themed fabrics, I think it will give my room a nice happy feel which I definitely need when I am stressed up to the eyeballs at university. 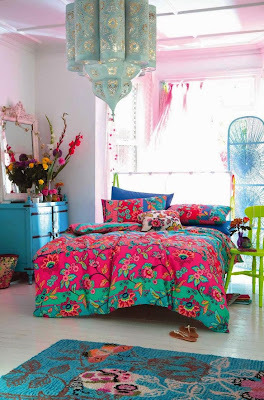 I also liked the idea's of creating quite a chilled hippy style space where I can just relax in the evening and enjoy. 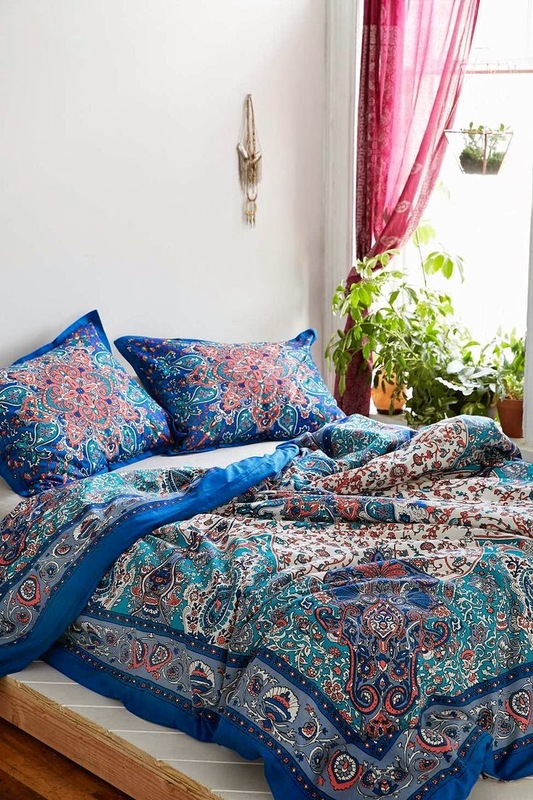 The walls in my new bedroom are white and the curtains dark aubergine and so I've decided to go with white bedsheets and bright cushions and throws on the bed. 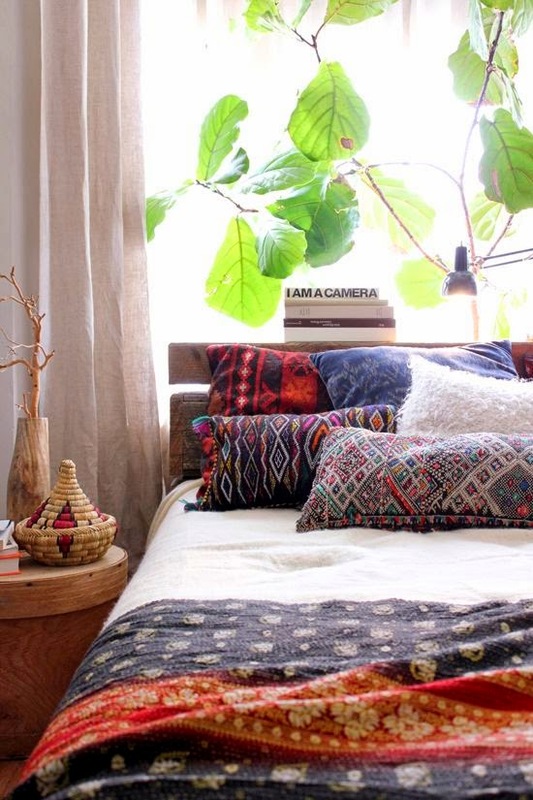 I'd also love to buy some little plants for my bedroom as greenery always makes me happy especially flowers. 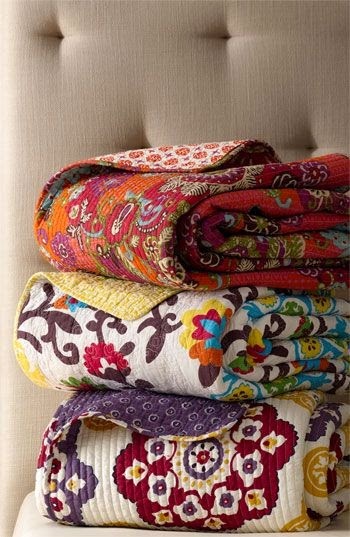 I'm thinking I might knit myself a big brightly coloured blanket to go on the end of my bed as well and put brightly coloured frames around the room. Do you have a theme to your bedroom? 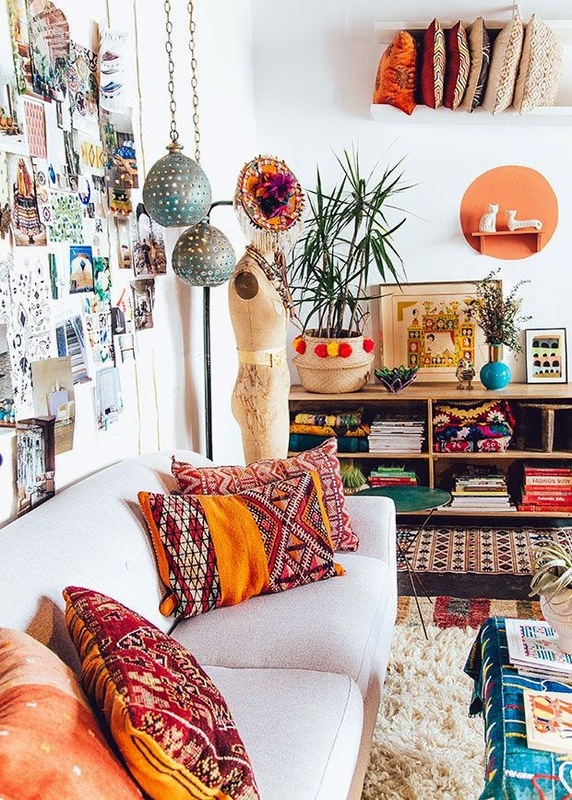 If you have any suggestions on creating a Moroccan style space I'd love to here them in the comments below.